Discussion in 'Contrails and Chemtrails' started by Whitebeard, Jan 22, 2016. We suspect a contrail. Dunno any more details other than it was taken in Bristol, UK sometime this evening. 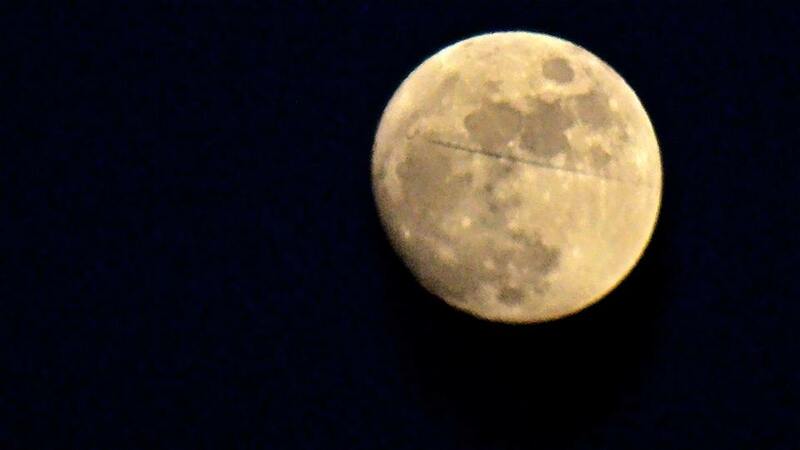 Seems too narrow for a contrail, remember the moon's only about half a degree of arc across. Possibly a utility line? Did some calculations. 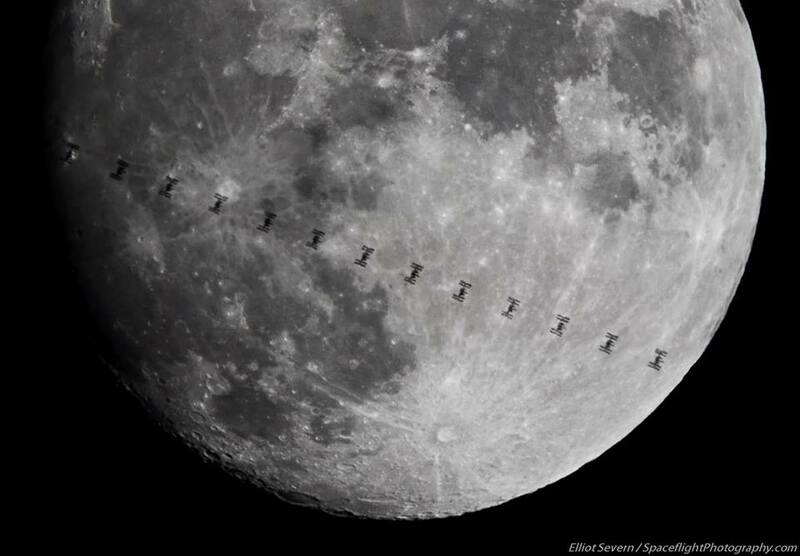 The line appears to be roughly 1/80th of the moon diameter. Assuming a diameter of a utility line to be 4 cm this means it is between 350 and 400 m away. When the height of the utility line were 30m above the ground the apparent altitude (of the utility line and the moon) above the horizon turns out to be 4 to 5 °. However, when the moon had that altitude yesterday it wasn't dark yet (roughly 4:30 PM). Besides, I would expect to see more then one line. Not, if the photo was taken soon after moonrise, when moon is still low above the horizon. It probably was the case, judging by its yellow colour. 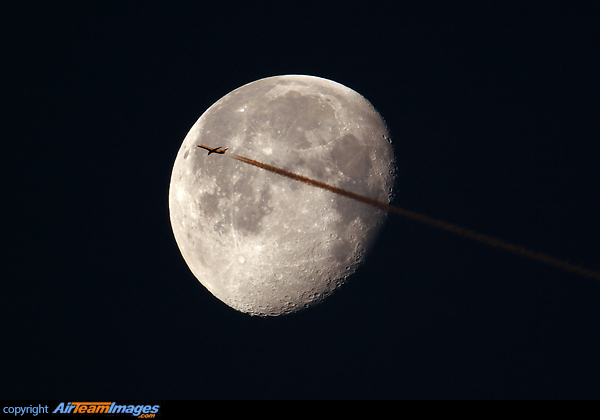 Therefore it can be a contrail. If the exact time of photo was known, it would be possible to test this hypothesis by the identifying the flight. I have to adjust my opinion on the contrail explanation a bit, after googling around a little. By "soon after moonrise" I meant about an hour after moonrise. When I was cycling home around 6:00 PM, the moon already was rather high and whitish. 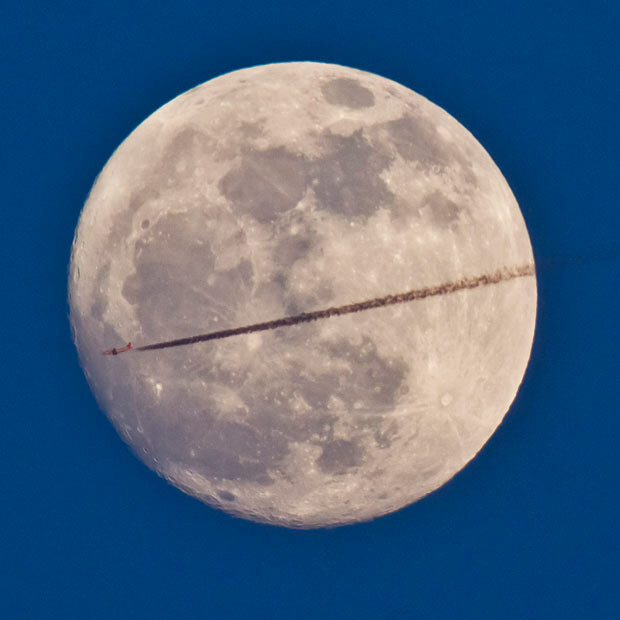 All one needs afterwards is to check the FR24 (or any other flighttracker) playback for planes in the Moon's direction, which were at a right distance from Bristol to pass across the Moon at a given elevation. The white line's heading corresponds to the Moon azimuth at the time, 75°, and its length is about 79 km (from the scale bar at the bottom right corner). 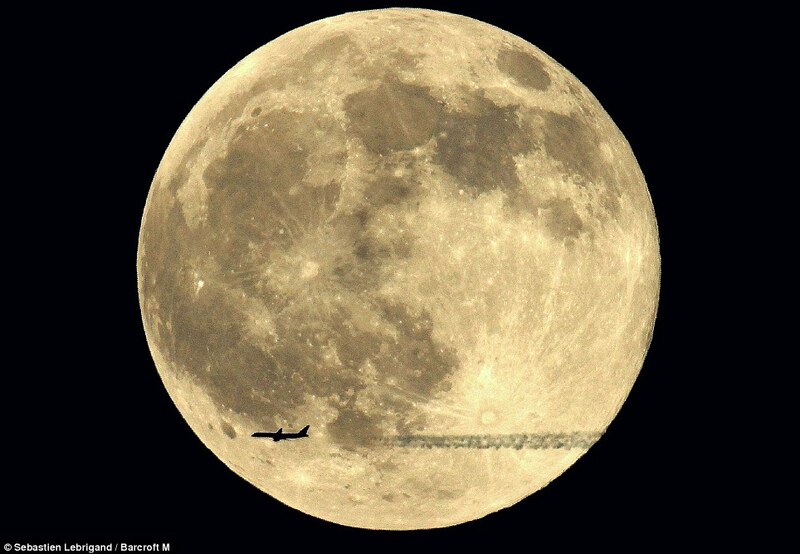 This is close to the calculated length of 75 km from the plane altitude (43,000 ft = 13.1 km) and the Moon elevation, 10°. The aircraft of this type usually have thinner contrails compared to passenger planes. and apparently my mates pic was a long exposure. 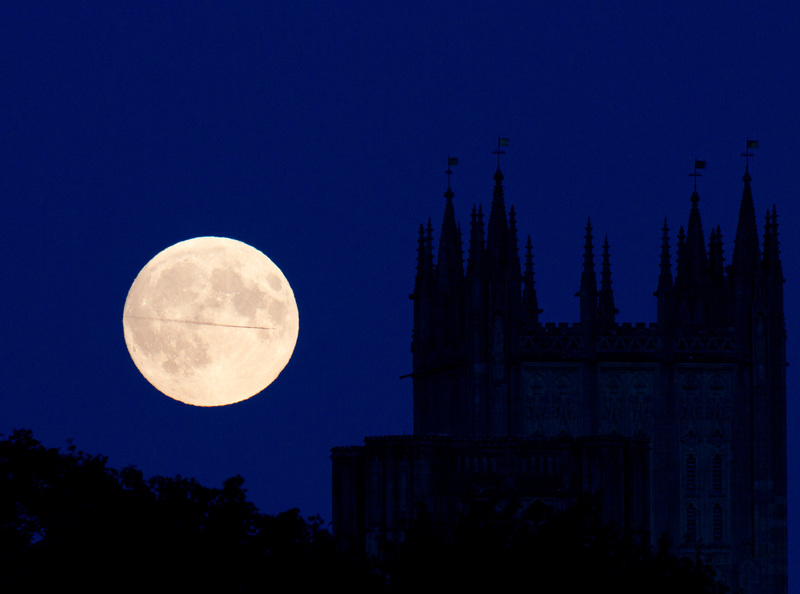 Tonight's supermoon rising beside Wells Cathedral's central tower complete with a distant aircraft crossing the moon. Total eclipse in a few hours from now.